The PowerDNS daemon is a versatile name server which supports a large number of back ends. These back ends can either be plain zone files or be more dynamic in nature. Additionally, through use of clever programming techniques, PowerDNS offers very high domain resolution performance. PowerDNS consists of two parts: the Authoritative Server and the Recursor. Other name servers fully combine these functions, PowerDNS offers them separately, but can mix both authoritative and recursive usage seamlessly. The Authoritative Server will answer questions about domains it knows about, but will not go out on the net to resolve queries about other domains. However, it can use a recursing backend to provide that functionality. Depending on your needs, this backend can either be the PowerDNS recursor or an external one. 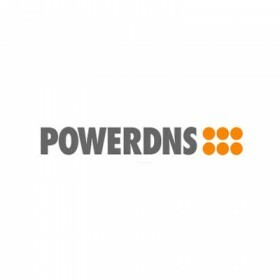 PowerDNS is a fast, flexible and reliable DNS server written in C++ that supports multiple backends and in most cases can be used as a drop-in replacement for ISC BIND. PowerDNS on Rails is built based on our experience of managing thousands of DNS records through various (often crude) techniques, that included building zone files from databases via cron, and implementing PowerDNS for its database backends. PowerDNS enforces a strict database structure on us by default, but it can be adapted if needed.